Backing out of a parking spot or driveway has never been easier in the 2018 Mazda CX-5. 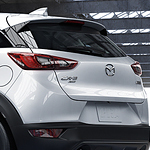 This popular crossover SUV utilizes advanced equipment to detect the presence of another vehicle. It works to keep you safe and alert at all times. One feature that grabs the attention of people is the front side of the vehicle which includes the grille and fog light. 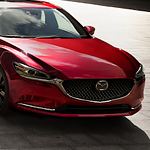 This shows that Mazda is all about function and form. Another feature that is worth looking at is the Nappa leather material of the interior. 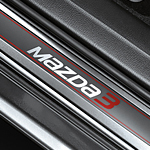 Mazda is known for making sporty and high-quality vehicles. If you prefer to have the versatility of a hatchback, you can check out the Mazda3. When you're on the road in a Mazda3, you don't have to worry about staying connected. With MAZDA CONNECT, you can pair your smartphone with your vehicle using Bluetooth. You can access your music, get directions to your destination, stay up-to-date with traffic, make phone calls, and send and receive text messages. The touchscreen can be used to control the system, or you can use the Commander button on the console. Arming yourself with information is the best way to make the right choice when buying a new car. 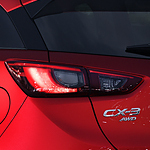 The decision to purchase a crossover vehicle relies on factors such as lifestyle and budget. You may have noticed that your car is looking a little less than pretty lately. Why not give it a quick clean today that will take you less than 10 minutes? These are just some tips to help you feel great about getting in your car and not worrying about some of the grease and grime. Are you ready to find a new vehicle? Are you looking for something that's comfortable, but also safe? 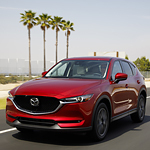 The Mazda CX-3 has an abundance of features you're certain to love. This vehicle is designed to keep you comfortable and safe while enjoying a luxurious ride. Here's what you need to know. 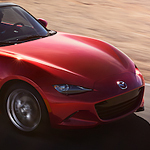 Your new Mazda MX-5 Miata is going to turn heads every time that you hit the streets of Urbandale, IA. 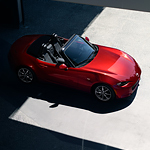 In addition to its eye-catching curves and sleek trim, this convertible roadster also boasts a variety of safety features that can’t be found anywhere else. If you believe that driving should be an unforgettable experience, then the 2018 Mazda MX-5 Miata could be the car of your dreams.